With support from the APS Fund for Teaching and Public Understanding of Psychological Science, we developed the Psychology of Language Video Series, which is freely accessible through the Cleveland State University (CSU) Department of Psychology YouTube channel. The goal of this project was to make our science widely accessible by using a series of engaging videos featuring guest presentations from experts across the field. Two major advantages of the format are that the videos are easily viewed across various electronic devices and are easily shared by posting links to the series on websites and on various social media outlets. The accessibility of the videos in this series creates an opportunity to share important psychological science — in this case related to the psychology of language — with the public. We encourage instructors to consider incorporating the series into their courses. For example, an instructor can show a video in class (or assign it for viewing at home) and follow up by assigning journal articles or book chapters by the speaker or on that topic. 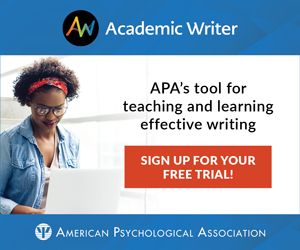 The videos also can serve as a bridge between introductory material in a textbook and more complicated material in peer-reviewed journal articles, allowing students to connect with the material in new and complex ways. The video series can be used as a teaching resource in many psychological science courses (e.g., Introduction to Psychology, Psychology of Language, Cognitive Psychology) and in related disciplines (e.g., linguistics, philosophy). Indeed, one of the many benefits of producing such a video series includes the opportunity to stimulate new collaborations, including new interdisciplinary research programs. Anyone can read about the psychology of language, but with this video series we offer students — and the general public — the opportunity to hear the researchers’ perspective, as opposed to simply reading the “final” and neat product presented in textbooks and (perhaps to a lesser extent) journal articles. There were many productive researchers — and many interesting and important research topics — that we wanted to include in the series, but we could only select a few. (The 10 speakers in the series, in addition to Ferreira and Pisoni, are APS President Susan Goldin-Meadow, APS Fellows Ellen Bialystok and David Matsumoto, and Timothy B. Jay, Victor S. Ferreira, Michael S. Vitevitch, Jennifer Pardo, and Phillip Hamrick.) Once a speaker agreed to participate in the video series, we scheduled a video conferencing call. 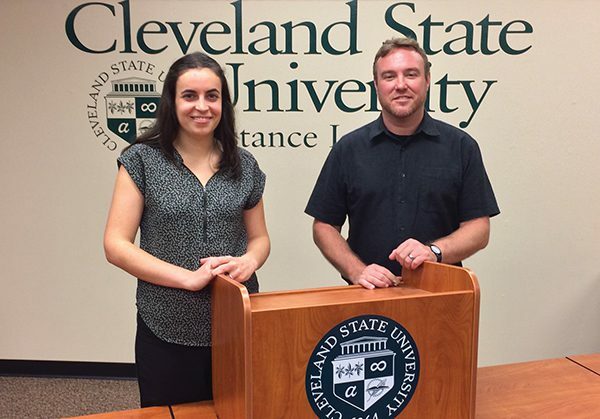 Because many guest presenters lived in locations that would make visiting Cleveland cost prohibitive — and would require a much greater time commitment — the Center for Instructional Technology and Distance Learning at CSU streamed the presentations to CSU attendees. The Center also recorded the talks as they were streaming. Finally, we edited the videos, which proved to be a fun — albeit time consuming — part of the project. During this process, we selected the best sections for each speaker and included some slides (e.g., definitions, titles, questions) to make it easier for the viewer to digest the information. We hope these 10 talks serve as the starting point for what will become the place researchers, instructors, students, and the general public use as a reference point to access free, brief, and interesting videos on the psychology of language. Researchers, including graduate students, who have published work related to the psychology of language are invited to email us their short videos so we can continue to update the series with the latest research in the field. We request that videos be under 15 minutes, free of jargon, and easy to understand. In order to encourage participation, we have a small reward for the first three researchers (including graduate students) who take the time and effort to create a video about the psychology of language and email it to us (c.mclennan@csuohio.edu). We hope you enjoy the series, and we look forward to receiving your video in the near future. Acknowledgements: This project was a team effort. We appreciate the work that Elizabeth Antol, Mark Hackett, Christopher Rennison (at CSU) and the technical teams (at the speakers’ institutions) put into ensuring the project was a success. We also thank all of our speakers, without whom we could not have produced such an engaging series. Finally, we greatly appreciate the APS Fund for Teaching and Public Understanding of Psychological Science for funding the project. Conor T. McLennan is an Associate Professor and Director of the Language Research Laboratory at Cleveland State University. His research focuses on understanding how listeners represent and process language, the role of bilingualism on cognitive processing, and how cognitive research can be applied to address practical problems. He can be reached at c.mclennan@csuohio.edu. Sara Incera is a postdoctoral scholar at Cleveland State University. Her research focuses on bilingualism, second-language acquisition, and foreign accents. She is invested in making psychological science accessible to everyone. She can be reached at saraincera@gmail.com.